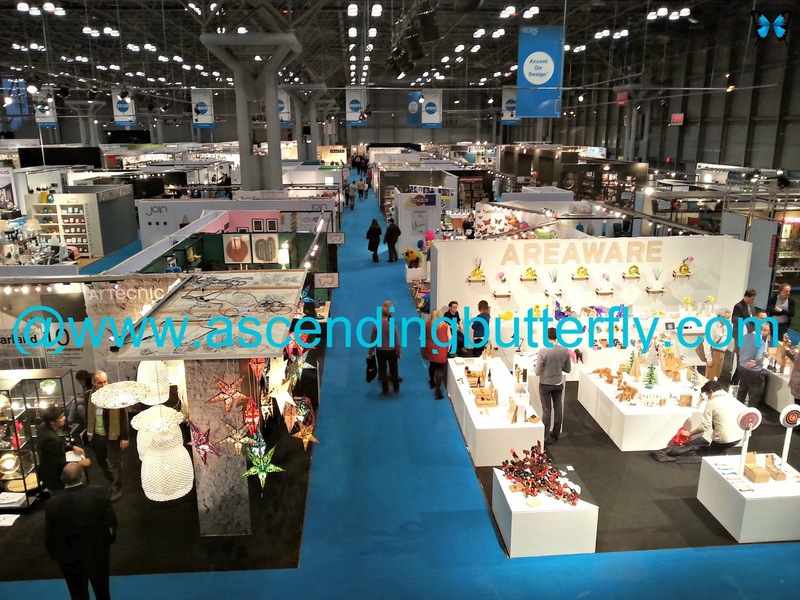 Ascending Butterfly: Did you miss #NYNow 2014? 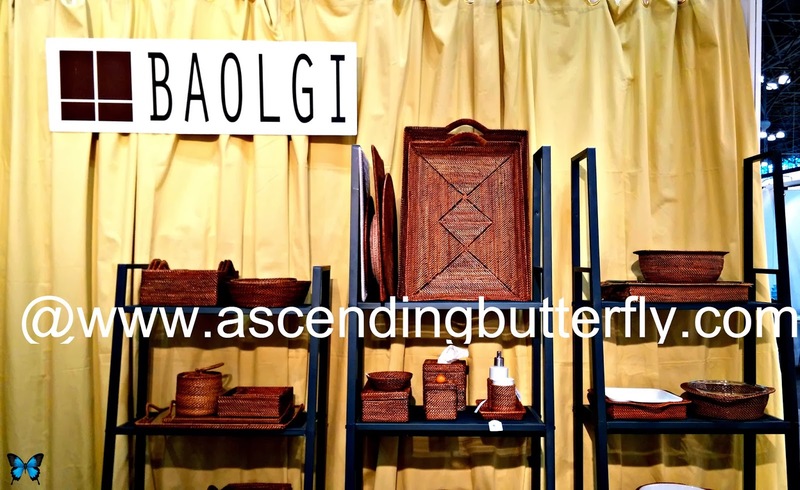 @nynowmarket completely re-branded this year! Part 1 of my show highlights! 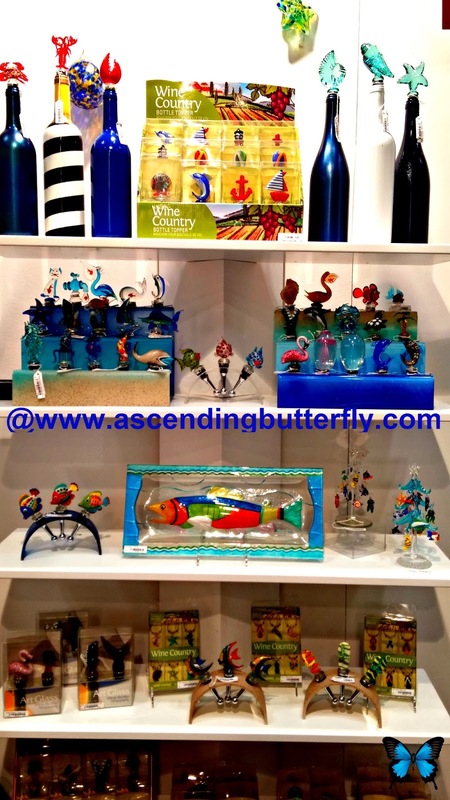 Did you miss #NYNow 2014? 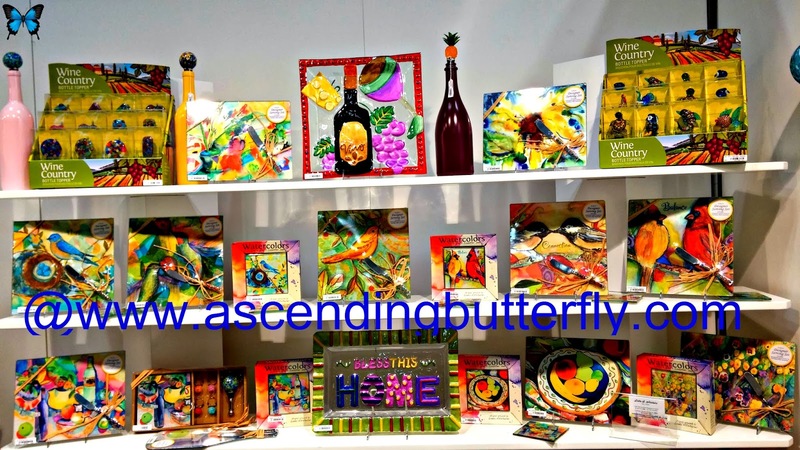 @nynowmarket completely re-branded this year! Part 1 of my show highlights! The previous 10 divisions have been streamlined into four broad market collections for NY Now: Home, Lifestyle, Handmade and New. They felt the re-branding was more reflective of the Show's 400-plus gift, home and lifestyle product categories. They also extended NY Now's hours of operation during the show to allow buyers extra time to shop. 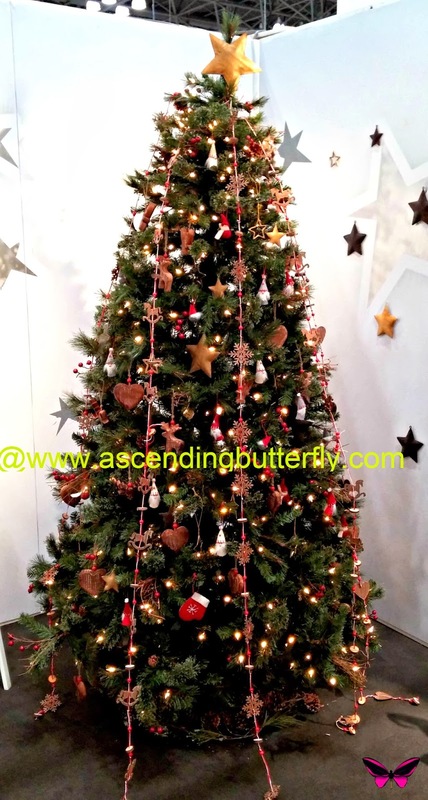 And for my fellow members of Digital Press and my fellow Lifestyle Bloggers, you are going to LOVE another new feature of the newly designed show, nynow365.com, an image-based online product directory which boasts more than 27,000 products from more than 700 exhibitors at the recent show. Nearly 1.500 retailers are currently registered to use the site. Warning to the wise, my fellow blogging lovelies, this is a trade-show and many brands couldn't care one lick that you are press, and some will chase you and your DSLR camera out of their booth as if you have leprosy. Getting angry won't change things. This is how I handle any conference, trade-show or exhibitor who yells 'HEY GET OUT OF HERE! NO PICTURES! NO PRESS!' - I learned to follow instructions in school, and I give them exactly what they asked for, ZERO COVERAGE. Any brand that is rude to me wasn't there as far as I'm concerned. The folks that walked me through their booth, and took a moment to ask about me after the walk through and what I do are the ones I am going to focus on. I think most trade-shows should get better at listing which brands are B2B only and are NOT interested in Press so we don't waste our valuable time on them. As a writer I'm seeking the B2C Brands, the ones that are already consumer facing if only the Show's apps or printed guides could devise a system (color coded maybe?) that lets press know who is press-friendly and who isn't. How about a green color to highlight the press friendly brands and red for the not so press friendly ones? There was so much to see and do I literally have to break this up into multiple posts. 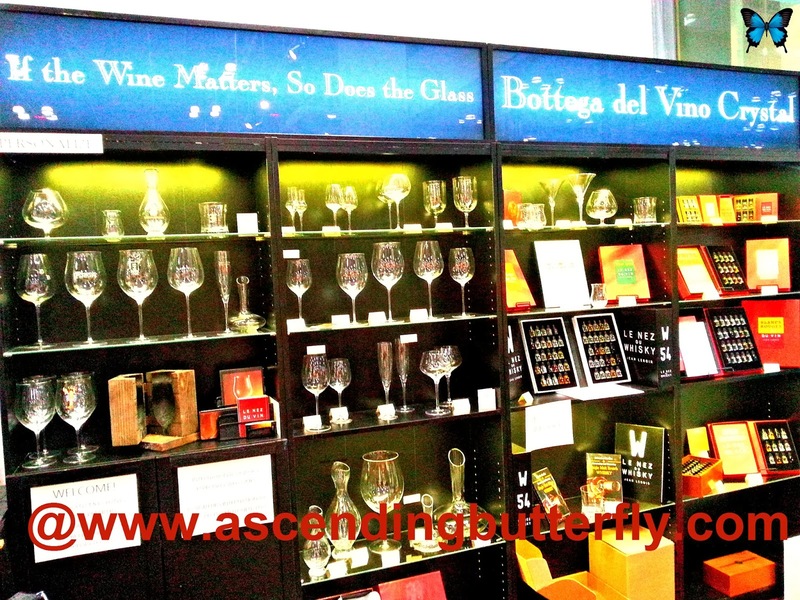 I have to admit I absolutely agree with and love Bottega del Vino Crystal's Tagline: "Why Simply Drink Your Wine, When You Can Experience it..." Wine enthusiasts will definitely agree that a quality glass does affect the tasting greatly! With Bottega del Vino Crystal, each piece is painstakingly mouth blown and hand finished to exceed standards in balance, weight, shape and the tactile experience of holding the stem while drinking your wine. OK I am sensing a Wine Theme Here! I loved all the pretty Wine Stoppers and cheerful colors! Couldn't resist this table setting with a live Goldfish Centerpiece! That little guy is sure to keep the conversation going at the table that's for sure! 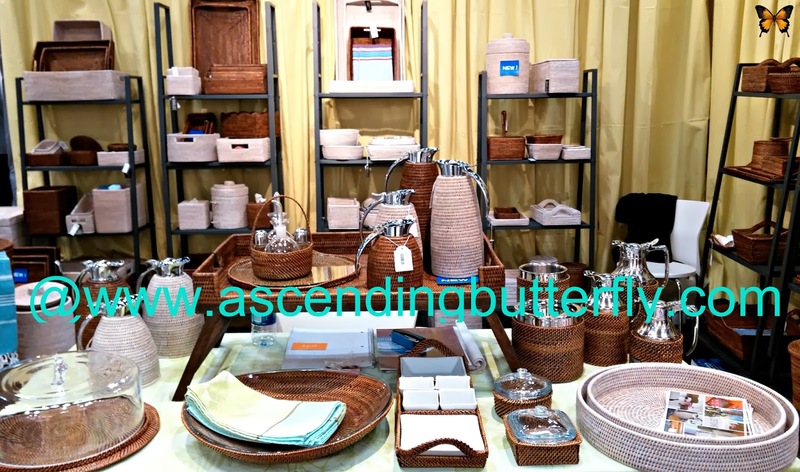 Rattan Specialists for the home BAOLGI had a beautiful display of rattan items for home both indoor/outdoor! 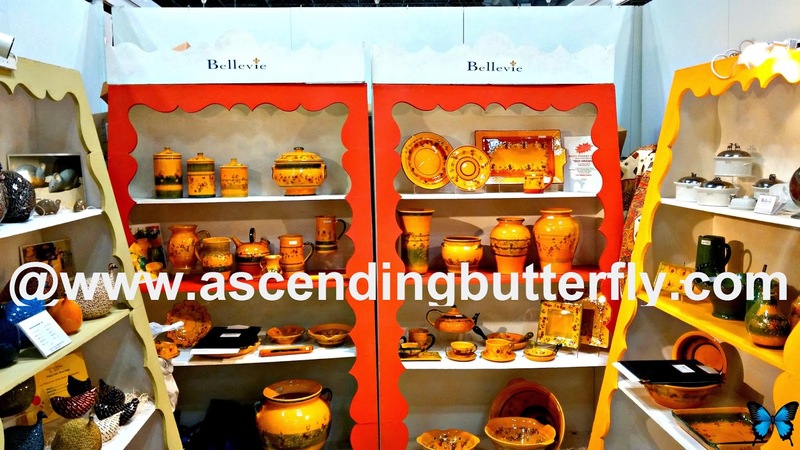 I spent quite a bit of time talking to Ingrid Martin from Bellevie Company who walked me through their Souleo Provence Pottery, Heidi Callaird Guinea Hens from France, Zeller Keramik from Germany, and La Maison De L'Etain Pewter from France. Her team was super passionate about the tender love and care that goes into each piece and I will admit the cheerful display was a site for sore eyes that day considering the gloomy, cold, grey day outside. 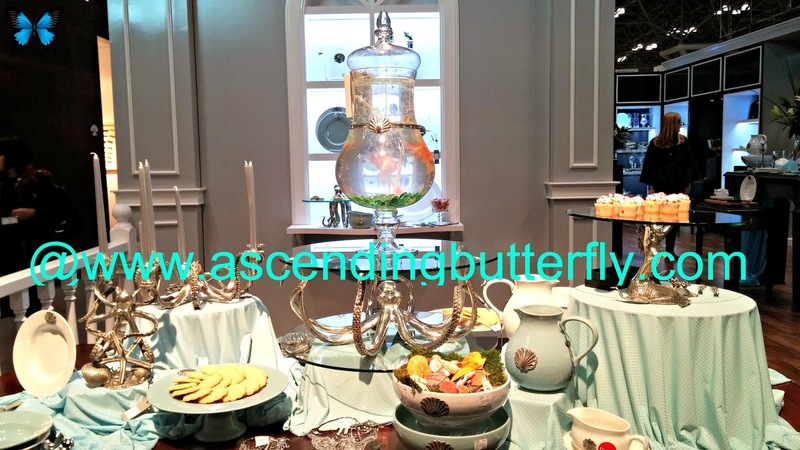 This exhibitor brought a touch of spring and whimsy which was very much appreciated. I could see a variety of their pieces in my new Dream Kitchen! Mr. Miya (pronounced MEE-ya) incorporated his flower shop on 28th street in New York City in 1947. 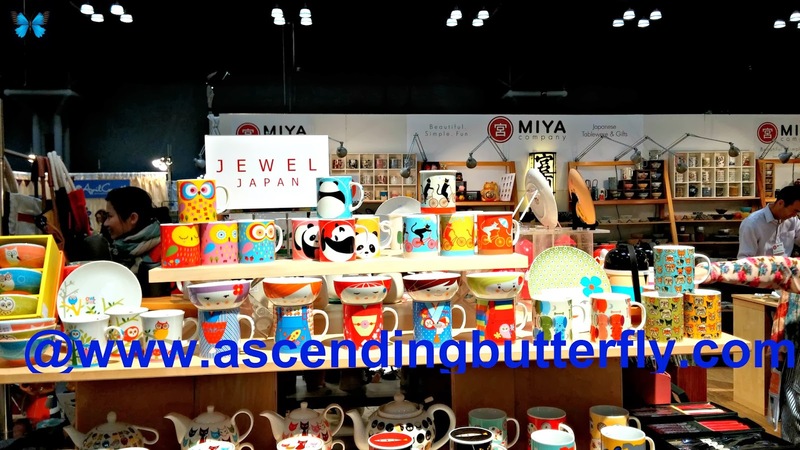 The mom and pop company evolved into Miya Company, Inc. a premier importer and wholesaler of Japanese Tableware and gifts on the East Coast. They are very much inspired by the Japanese aesthetic. as am I, so I did some spend some time enjoying all the unique offerings at this booth! With this New Yorker counting down the seconds, hours, minutes, and days until Spring, I loved that Picnic Plus was a great reminder of the happy days to come! 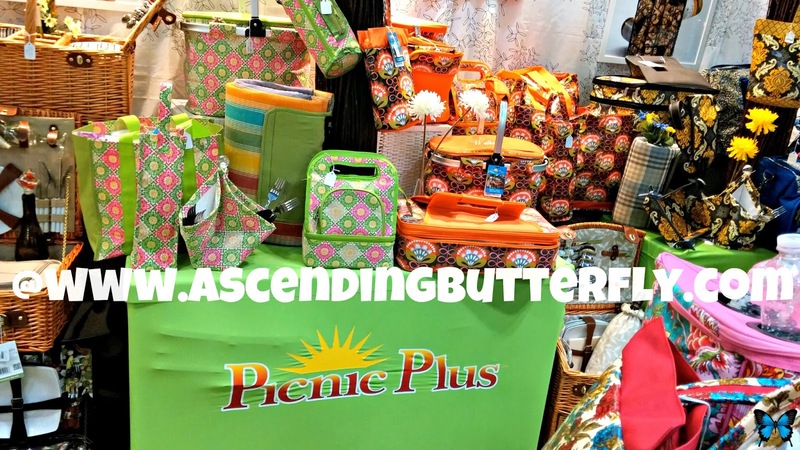 Whether it's a casual picnic in the park, or a romantic picnic on the Beach, Picnic Plus definitely has you covered! 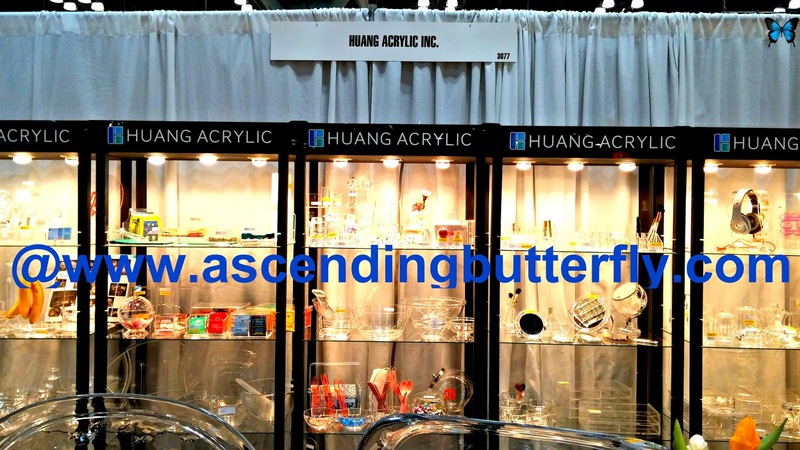 Huang Acrylic's definitely caught my eye, as I need to some MAJOR re-organizational work in my space and these items help to keep everything super organized with a fun and very modern design! 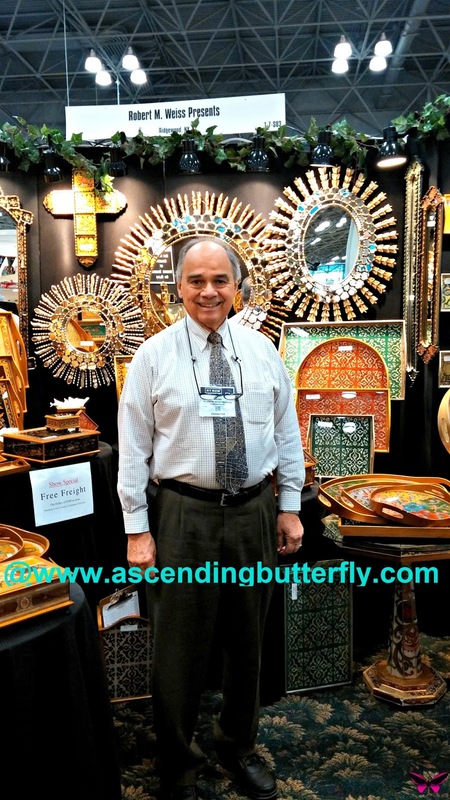 While his website caters specifically to retailers, you will notice a Store Locator on the top of robert m. weiss P R E S E N T S, so you can plug in your zip code and find the nearest retailer near you that carries his work! 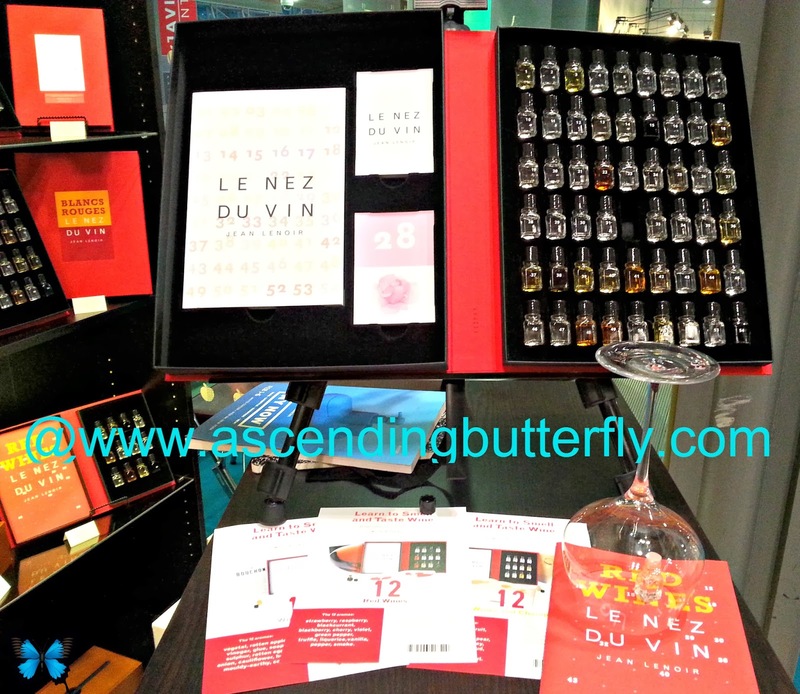 Very interesting designs for home! 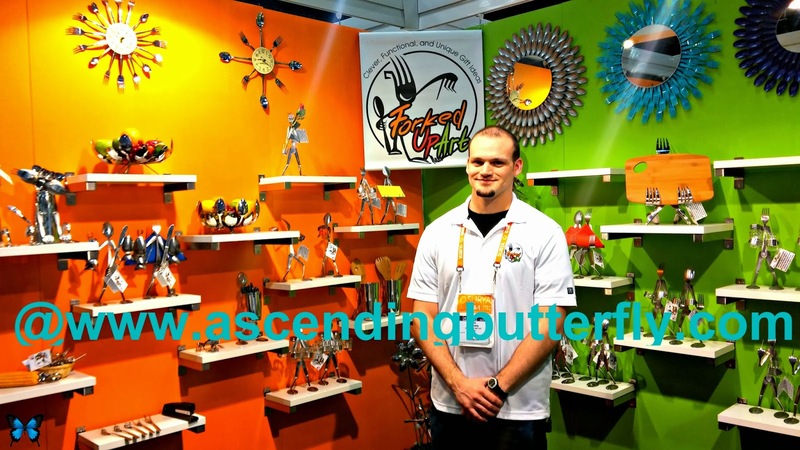 Had to nab a shot of one of the founders of Forked Up Art in front of his super creative and colorful display! This is the most amazing way to see forks and spoons recycled and re-purposed, so they can still have home in your kitchen or dining room! Cooking from a Recipe Book or Tablet, no worries, there are fork buddies that will hold them up for you! (keeping them safe and clean!) This one definitely stood for me as being one of the most unique brands I met at NY NOW! By the way, they also use it to make jewelry, making these ideal gifts for any chefs in your life. If you have any chefs graduating from culinary school this year, add Forked Up Art to your radar as an option for unique and meaningful gifts for your budding chef! These original hand loomed towels are an environmentally friendly way to add some affordable luxury to your shower/bath! Their line runs from Basic, Beach Candy, Luxe Spa, Natural, Resort Cashmere, Sorbet, Super Soft and Woven. In a great range of styles and colors, there is something for everything at Turkish-T. 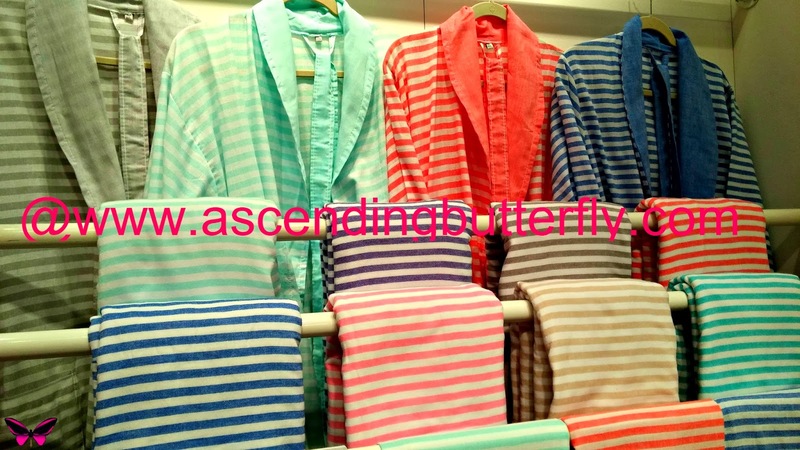 These Super Soft, Cozy robes by Turkish-T with the pretty stripes totally make me long for summer! Wait, What, stop! Did someone say Christmas? Christmas trees will always stop me in my track! 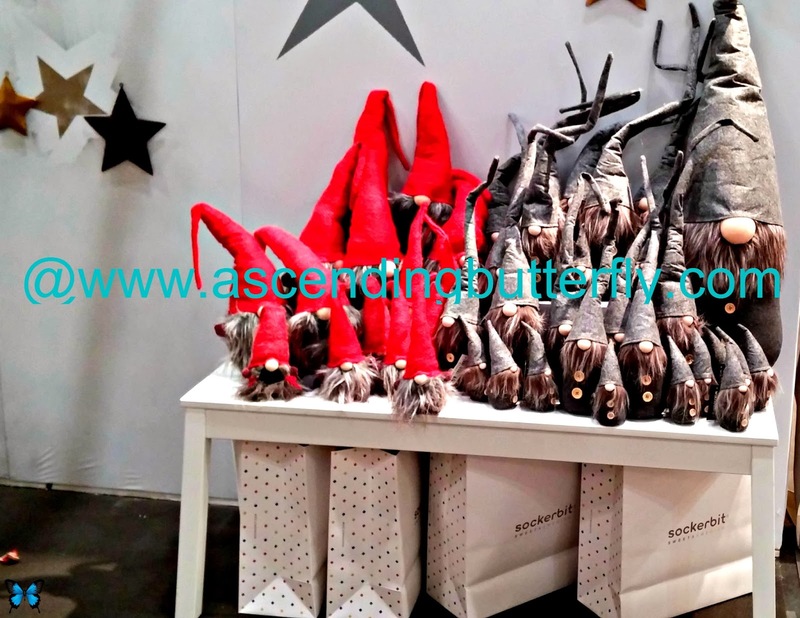 Couldn't resist sockerbit's super cute exhibitor booth, first the tree then these cute little guys! Check out sockerbit - sweet and swedish ideas to help make an upcoming party that much more fun for everyone! NY Now is a lot to take in, and spending some time in the press area with the show app and programs, help you map out your day so you can hit the booths/vendors that you really don't want to miss. However don't overpack yourself or day's itin. Leave some room that the booth you are visiting may be a bit back-logged, even if you do have an appointment. Always factor more time than you need to get from one of your appointments to the next. I had to break up all these pictures and brands met in stages, this is actually going to be a multi-part post. I think it's easier for me to work on and for you as a reader to consume in steps! I may even skip days in between not to overwhelm with just how much took in at this one event! FTC Disclosure: This is NOT a sponsored post. I attended the Trade-Show as Digital Press, however this did not influence my opinion in any way all opinions are 100% my own. No compensation has been exchanged for this recap post. I always love your recaps .I see new products and there always a few I'd love try buy Baolgi,Huangs acrylics (need lots of organization lol) Bottega del Vino Crystal ,Forked Up look cute ,etc can wait to see the rest .Thanks foe bringng great reviews .I get wonderful ideas for the house and MYSELF yeah ! !